Replace your tired and worn out wooden utensils for this eco-friendly essential cookware made from 100% Natural Bamboo- light, durable and long lasting. Biodegradable and made from renewable resource unlike other plastic or silicone utensils. Water and heat resistant and does not absorb flavors or scratch cooking surfaces. Stress free and super easy to clean- hand wash for longer usage. This is a perfect accessory for any kitchen lover. 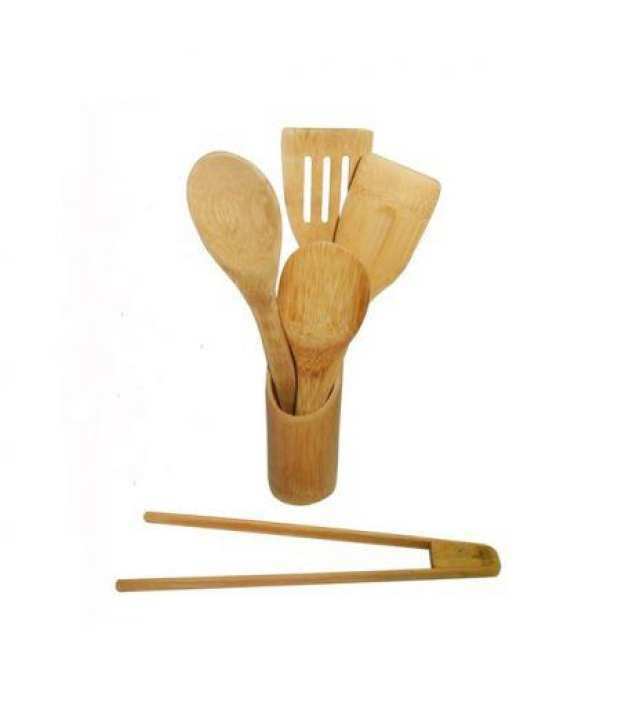 Whether you are a professional cook or beginner cook, this 7-Piece Bamboo Wood Cooking Utensil Set will be your grate assistance. Present this cooking set to someone special or anyone who loves to cook as a wonderful holiday gift and its exquisite look even make an elegant Decor.